Redwood Plastics and Rubber is excited to announce we’re hiring for our inside sales division! Skilled in negotiation, conflict resolution, and teamwork skills. Be proficient with computers including MS Office. Be able to learn our inventory program. The company offers excellent salary, medical, dental, retirement benefits all combined with a positive work environment and career advancement opportunities. Compensation will be determined on qualifications and experience. We are Hiring! Market Specialist, Industrial Sales Rep & more! 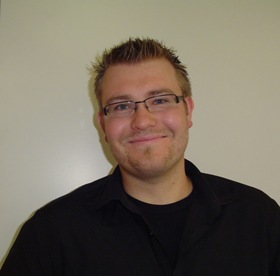 Redwood Plastics’ Langley, BC location is proud to announce the promotion of Jared Doppenberg to Inside Sales Representative. Jared has followed the path of being a fabricator for five years of his career, 2-1/2 of those spent with Redwood. Jared has proven to be more than just a fabricator: he has a passion for his work, for being honest, hardworking, and going above and beyond his duties. He is sensitive to the needs of his coworkers and we’re sure that will translate to outstanding customer service in his new role dealing with our valuable customers! In his downtime Jared has some interesting hobbies. He enjoys working on his import Toyota (extra powerful engines and right seat drive) or flying his growing collection of drones. His musical choice is Funk but at least “it’s not country”. Since 1971 Redwood Plastics has worked with customers to find solutions for a variety of problems including shock, abrasion, noise and wear. In conjunction with our manufacturing partners, Redwood Plastics mold, machines and fabricates a variety of industrial plastic solutions across a variety of industries. Our Langley, BC branch is currently looking to add a full-time self-motivated and enthusiastic Inside Sales & Business Development Assistant. This individual would assist and report to our current business development professional and would be tasked with proactively developing new business and accounts in a variety of industries across North America, primarily through the telephone, by developing a relationship with prospects and finding solutions to problems using our plastic. The successful candidate can expect a supportive environment with 1-on-1 training and mentorship, but a proactive attitude and willingness push oneself to succeed independently is essential. Why take on this challenge? Redwood Plastics knows people are our best assets. We provide a great benefits package after 3 months and paid vacation after one year. You can expect regular hours, have your weekends/holidays free and your own place to work – no cubicle. We strongly believe in the benefits of industry-specific education, and will do what we can to provide employees the tools they need to thrive. Redwood Plastics will offer the successful candidate a competitive salary plus commission. If you have the desire to advance your career with a successful organization, submit your cover letter and resume in Word or PDF format today to sales@redwoodplastics.com. Please, no phone calls, no in-person submissions will be accepted. Congrats to Rob Tenetuik, Chris Turner and Matt Blom for completing Redwood’s product training last week! It was a special session as Nate, Nylatech’s new Technical Sales rep, also attended. The guys really hit it off and enjoyed their time out here…Minus Chris’ lesson on “consumer plastics” he learned the hard way: inside his food! And Nate, the sole American of the group, learning that the definition of what is “iced tea” gets lost in translation when you come to Canada. Thanks go to Don McMillan for all his hard work keeping those guys focused for four days. It was a feat! The important note for Redwood employees involved in sales is that the training slides in your binders are now available digitally in PDF form. Email Matt at mblom@redwoodplastics.com if you’re interested in a digital copy. Redwood is happy to announce the hiring of Matthew Blom as Market Developer. Matt has a strong educational background in psychology and marketing combined with experience in sales and digital marketing initiatives. Matthew will be responsible for helping Redwood Plastics expand into new territories, serving all the branches, and assist with various marketing tasks. Matt is a hockey and football fan, enjoys collecting movies, and enjoying all that the beautiful Lower Mainland has to offer. Redwood Plastics is looking for a full time Technical Inside Sales Representative. This position is responsible for taking proactive steps to generate new business. The position reports to the Marketing Director but will work collaboratively with other sales managers. Please submit a current resume to sales@redwoodplastics.com. Compensation: Salary based on experience with bonuses. Full benefits after 3 months.